Although the U.S.-Russian recent attempts to agree to a joint missile defense system have failed, the imperatives for such collaboration are increasing. Over the coming decade, the two countries should take steps to integrate missile defense systems into the regimes of nuclear disarmament, nonproliferation, and mutual security. 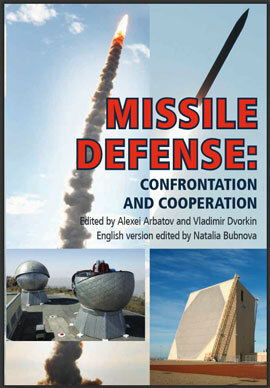 Missile Defense: Confrontation and Cooperation, a collective study edited by Alexei Arbatov and Vladimir Dvorkin (English version edited by Natalia Bubnova), has been written by leading Russian and foreign experts in the field of missile defense. In examining this complex issue, the authors address its historical evolution and its military technical, strategic, political, and legal aspects. In the last fifty years, the United States and Russia have significantly surpassed the rest of the world in the development of ballistic missile defense (BMD) systems. Although the two countries’ recent attempts to agree to a joint missile defense system have failed, the imperatives for such collaboration are increasing. Over the coming decade, Russia and the United States should take steps to integrate missile defense systems into the regimes of nuclear disarmament, nonproliferation, and mutual security. For the foreseeable future, a large state’s strategic BMD system will only be able to intercept several incoming missiles and will not be able to counter a massive first or retaliatory strike. Natalia Bubnova was head of content production at the Carnegie Moscow Center. She previously served as deputy director for communications at the Carnegie Moscow Center. Russia followed the U.S. lead and launched its own Air-Space Defense program. Having failed to agree on a joint BMD system, the United States/NATO and Russia are developing their own systems. The unilateral deployment of BMD systems is exacerbating military and political tensions between the great powers, undermining their cooperation on nuclear nonproliferation and damaging arms limitation regimes. The United States and Russia should discuss the new roles that defensive systems will have in their bilateral strategic stability. Instead of the usual stringent limits on BMD, the two should promote a concept that discourages destabilizing and encourages stabilizing defensive programs that could help enhance the survivability of their nuclear deterrence forces at much lower levels and protect urban centers and critical sites against single or group missile launches and aircraft attacks by rogue states or terrorists. Russia and the United States should engage in coordinated step-by-step rapprochement in the direction of joint defense, focusing on the compatibility of the U.S./NATO BMD system and Russia’s Air-Space Defense program. After the impasse in U.S.-Russian discussions of BMD is overcome, the two countries could connect the Russian and U.S./NATO early-warning systems and BMD radars in Europe. They could also establish a center staffed by Russian and NATO officers to coordinate the operation of the two BMD systems. Engaging other countries, particularly China, in disarmament will only be possible if they do not perceive U.S. and Russian BMD systems as undermining their own deterrence potential. Beijing might agree to transparency and some cooperative efforts on BMD if it receives guarantees that these two systems would not be directed at China.